Frankfurt – Financial capital of Europe? If Frankfurt has been known for anything recently, it’s been as a potential destination for financial firms leaving London post-Brexit. After all, Frankfurt is already Germany’s financial hub. So what’s the reality, and what else does the region offer? On 30 July, Deutsche Bank made headlines by announcing the move of its clearing operations from London to Frankfurt. But the small print showed that this only concerns their new euro-denominated derivatives trades – and no jobs will be going with them. Other ‘moving to Frankfurt’ news (Citigroup, Standard Chartered and Nomura, for example) reveal similar stories: “Most [firms] only talk of establishing legal headquarters there… with minimum staff. That’s not the same as shifting an entire trading room,” says Politico. 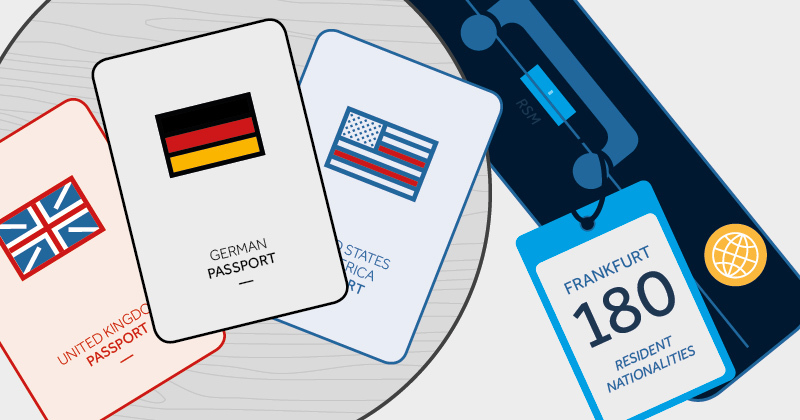 Frankfurt’s population is diverse, with around 180 nationalities resident there and one in three people holding a passport other than German. Industry is similarly varied, with Frankfurt home to many major domestic and global businesses. There are almost as many logistics companies as banking and insurance firms, employing about the same number of people. Germany’s biggest workplace is Frankfurt’s airport, the fourth-busiest in Europe and the second-largest multimodal freight airport in Europe. It offers an enviable 4 runways plus CargoCity, extensive freight facilities used by 25 carriers. Other key industries include IT and the creative sector: astonishingly, Frankfurt has 570 advertising and 270 PR agencies. The city is also keen to attract start-ups through a range of financial incentives offered by its economic development agency. Luxembourg, just a short hop over a Schengen border, is the world's second-richest country after Qatar. It’s the world’s second-largest domicile for investment funds and Europe's largest for assets under management. The tiny duchy offers tax neutrality, a stable legal environment, investor protection, 3.9% GDP growth and almost ubiquitous AAA rating. In a recent EY survey, Luxembourg was named first choice by 41% of the wealth and asset management firms looking to set up European entities. Luxembourg City CBD rents in Q1 2018 were €50 per sqm, up 6.4% in the year, with most 2018/2019 developments already pre-let. With French and German both spoken there, clients moving to Luxembourg can be supported equally by Unispace’s studios in Frankfurt or Brussels. Zurich, almost due south of Frankfurt, may be a surprising suggestion – it’s no more part of the EU than the UK will be after Brexit. However, it’s an established international financial centre and it has managed to negotiate around 100 agreements with the EU (including the free movement of people, goods and science) plus deals with individual member states. A haven for the super-wealthy (with tax rates ranging from 0.77% to a maximum of 11.5%), Zurich offers the best cost of living in Europe. Vacancy rates are low and commercial rents hover around €58 per sqm. Unispace Zurich will be delighted to offer more information about Zurich as a post-Brexit option, and to create your workspace there. Berlin may be ideal if financial services aren’t your thing: the city bristles with universities, research institutes and start-ups, with strengths in healthcare, life sciences, IT, media/creative, transport/logistics, and clean energy. 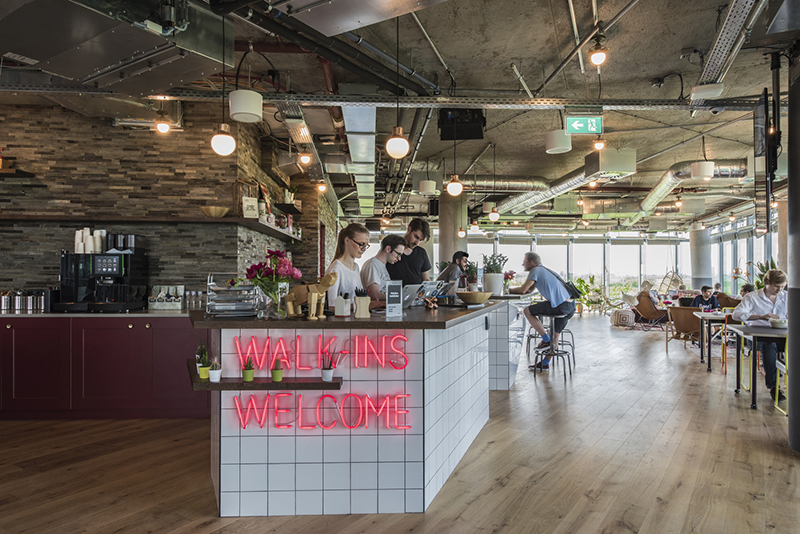 Berlin offers more co-working space than anywhere else in Germany – whether for freelancers, start-ups or outsourced departments of established companies; Unispace Berlin has designed and delivered 65,000 sqft across 3 floors for co-working specialists WeWork. Berlin enjoyed a record year for commercial leasing in 2017: take-up was 9% up in 2016, at 937,000 sqm, with an average rental rate of €19.15 per sqm. London’s demise as Europe’s financial nerve-centre – let alone the world’s – may have been greatly exaggerated. However, with 8 months to go until Brexit, the ‘passporting’ issue has not been resolved, and firms may be forced to set up entities (anything from a registration document to a full workforce) in another EU country. Frankfurt is very much in the running, but is not the only option. Wherever you choose to be, Unispace is at hand locally to deliver your ideal workspace. 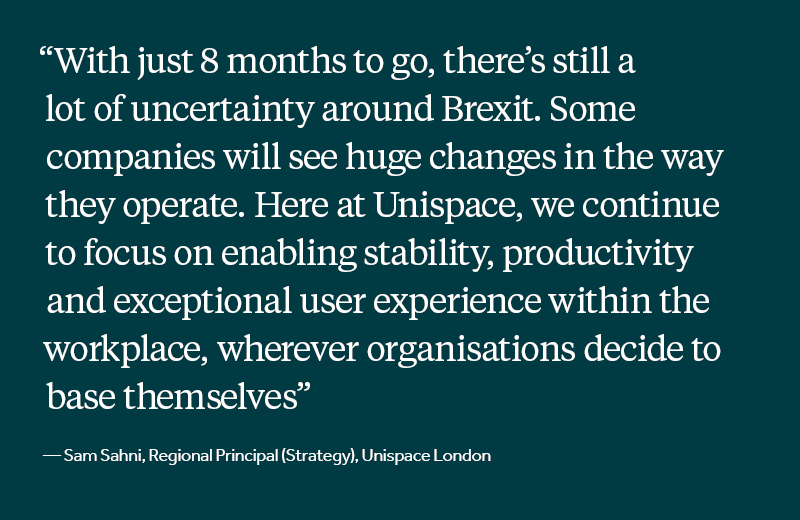 With the complete end-to-end service all under one roof, from strategy to design, project management and delivery, Unispace can deliver your beautiful new workspace faster, seamlessly and more cost-effectively. Coming next – in the final part of our series on post-Brexit decision-making, we’ll offer the benefit of our insight and experience in suggesting some of the key things to think about if you’re expanding, downsizing, extending or moving your workspace because of Brexit.